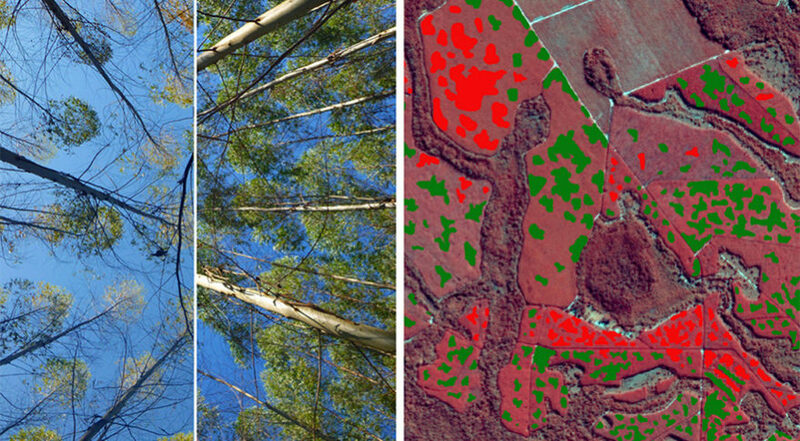 SAN FRANCISCO – PlanetWatchers, a geospatial analytics startup focused on forestry, is preparing to expand into the sugar cane and energy markets, Ariel Smoliar, PlanetWatchers chief executive and co-founder, told SpaceNews. PlanetWatchers was founded in 2016 by two Israeli entrepreneurs to use Synthetic Aperture Radar (SAR) data to help governments, corporations and nonprofits that dependent on natural resources increase productivity and better manage their assets, Smoliar said. Forestry was the first market PlanetWatchers tackled. The firm developed Foresights, a risk management and analytics platform, to provide forestry managers with geolocated reports identifying stands of trees showing early signs of drought stress, for example. By the end of the year, PlanetWatchers plans to augment Foresights with new data and analytics services. In parallel, PlanetWatchers is conducting pilot projects to demonstrate products and services for sugar cane and energy customers. The firm gathers SAR and optical imagery to build new datasets, expand its capabilities and train artificial intelligence models, before targeting new markets. Then, it conducts extensive field work to demonstrate to potential customers the accuracy of its products and services, Smoliar said. PlanetWatchers raised approximately $1.75 million in seed funding in 2017. The investment round was led by Resolute Ventures, a San Francisco venture capital and private equity firm. Now, PlanetWatchers is seeking to raise $3 million to $4 million in a second seed round, Smoliar said. Due to nondisclosure agreements, PlanetWatchers cannot name its customers. However, the firm is working with one of the world’s largest paper companies and one of the largest energy companies, Smoliar said. PlanetWatchers employs 15 people in the United States and Israel, where it conducts research and development activities. In August, PlanetWatchers combined artificial intelligence and SAR to produce publicly available imagery showing monsoon flooding in Kerala, India. “We want to make a global impact,” Smoliar said.